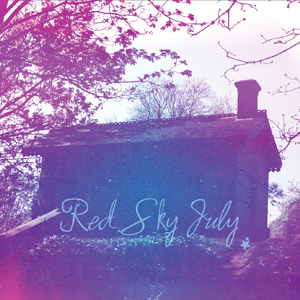 Red Sky July is the new project from three well-respected and lauded musicians. Consisting of husband and wife duo Ally McErlaine and Shelly Poole, and singer Charity Hair, Red Sky July is an entirely original debut album from a group with a phenomenal pedigree, all of whom have been steeped in music for as long as they can remember. Ally McErlaine has had a guitar in his hand for most of his adult life. Sitting in his bedroom as a teenager and teaching himself how to play along to his favourite records, Ally joined Texas when he was just 17. He has been touring with them since 1988, selling over 15 million albums worldwide in the process. Ally and Shelly married in 2001. Charity Hair hails from the small town of Plant City in Florida, and developed a love for playing music after being given a violin by her grandmother at the age of 8. Scouted by a modelling agency at the age of 18, Charity soon moved to London and ended up forming The Alice Band with two other girls she had met. It was during this time she first met Ally while performing on a TV show at the same time as Texas. Later she would become singer for The Ailerons, performing alongside drummer Dave Rowntree (Blur) – who had signed Shelly to his record label! Charity has previously performed at several of Shelly’s solo gigs, and the three have all kept in touch over the years, always wanting to work together but never quite finding the right moment or material until now. Red Sky July came together to make music they love with no boundaries and expectations. It was set to be a 'soulfood' side project that would bring a few low key gigs and be a great contrast to their song writing day jobs. One day a week soon became five, and a group of songs with a hazy, folk-inflected sound soon found their way into shaping and becoming a whole album. The three of them then took these songs to Jazz Summers and Tim Parry at Big Life Management. With a roster of artists that includes Snow Patrol and The Verve, Summer and Parry were impressed and enlisted Rory Carlile to produce the entire album. Yet there was a two-year break where the entire project was put on standby – Ally suffered a major brain aneurysm and was in a critical state for over a year. Finally reconvening last summer and drafting in new band member Mark Neary, Red Sky July were ready to resume where they left off. Relocating to Bristol, they recorded the album live to capture the sense of danger and fragility that playing together in the same room at the same time brings. Red Sky July is an astonishingly assured debut album, born out of the pleasure and satisfaction of three like-minded souls creating exactly the music they hear in their heads. That such a project can touch universally only testifies to their creative spirit and abilities.